Comment: Small roof over entrance door. Approx. 6â to 7 â long and needs down sprout on one side. Living in Buck Island Village, west Yarmouth. Color must match others. This had to be approved by Mgt company and association. Color: Brigid gray. Would net to come out and check color before hand. Comment: I need to get an estimate to reinstall some gutters or downspouts. I had them and removed them, now too much water pools where the door is. I am unsure of the material I want. Comment: About 45â front and back. 90â total. Comment: This is a 2-story townhouse condo in Buck Island Village. My unit was built without gutters and I want them installed both front and back. They have to match the other gutters in the complex. I'm not sure if it's a light brown or a darker brown to match the trim. Comment: Our gutters have holes or are broken because there is a water leakage. West Yarmouth Gutter Cleaning & Repair Services are rated 4.79 out of 5 based on 573 reviews of 19 pros. 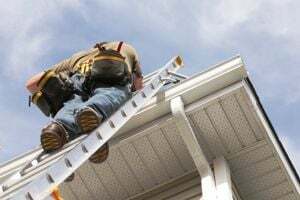 Not Looking for Gutters Contractors in West Yarmouth, MA?